Deco, Nani, Tiago ... and yes, even Cristiano Ronaldo, now have the shirt they need to represent Portugal at South Africa 2010. The Official Nike Portugal 10/11 Home Soccer Jersey! 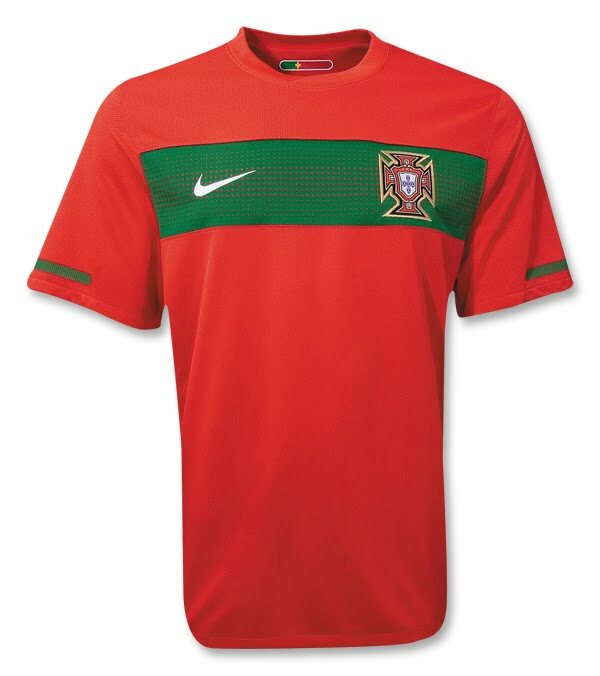 This jersey has an embroidered Portugal team badge and screened Nike logo at the front green mesh panel, with engineered venting mesh is also at the sides and back. It's made of Nike’s advanced Sphere Dry & Dri-FIT® fabric, which keeps you drier, cooler and lighter by drawing sweat from the body to the fabric’s surface, while its three-dimensional construction gives more air space around the skin to reduce clinging, and keeping you cheering on your team comfortably. All of Nike's new jerseys are made of recycled plastic bottles - 100% recycled polyester. Evolved construction and materials also significantly reduce weight.